History. It’s something I find highly interesting and engaging. 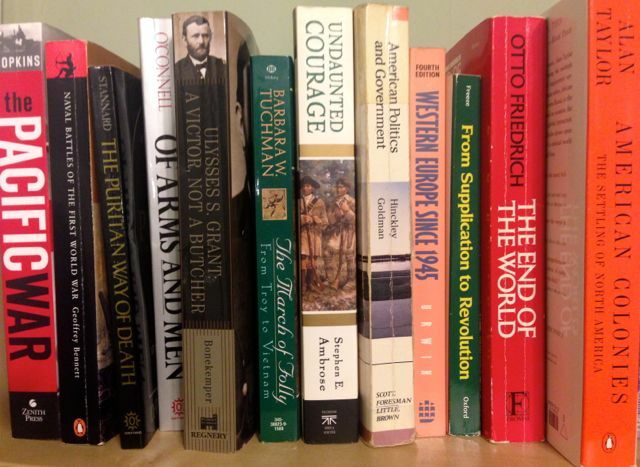 As many readers might already know, I was a history major in undergrad, and the love of its study has remained with me from my childhood through adulthood. While I do not expect everyone to share my level of interest, I do find it discouraging what a poor working knowledge most people have of history. What might be worse is the utter lack of desire by some to even reach basic levels of understanding as if Wikipedia has made learning history irrelevant. I have learned mostly the War of the Rebellion, some medieval, and the history of the two World Wars. There are other areas that I have dabbled in such as the economic history of the West and some English and classical histories, but my command of skeptical history is sadly null. Daniel Loxton of Skeptic magazine has set out to rectify this situation for skeptics by publishing a PDF entitled “Why is There a Skeptical Movement.” The document, which is currently resting on my iPad waiting to be read, is the main topic of an interview of Loxton by Kylie Sturgess on the lastest Token Skeptic podcast. Loxton shares that not only does skepticism’s past reach back 2,000 years, but there are numerous people for whom modern skeptics owe a great debt, but are mostly lost to the passage of time and attention. Loxton points out that the current debate of what is the working definition of skepticism and what skeptical activism should encompass cannot be appreciated without a knowledge of our collective skeptical past. Harry Houdini and Martin Gardner did not invent skepticism out of whole cloth. Loxton, who spent two years drafting this work, admits he has merely scratched the surface with this effort. I salute him for scratching the surface, and hope others follow because I agree with Loxton that with the great influx of skeptics into skepdom since about 2005 (of which I am one) having little grounding in skepticism past, and how modern skepticism came to be. The current debate that waxes and wanes online about the scope of skepticism might benefit if we all had a better understanding where things have been in the past. I found this interview the most fascinating discussion regarding the current skeptical internal debates. While I have read the articles attempting to bring greater civility to the skeptical debate by Dr. Steven Novella and D.J. Grothe, perhaps Loxton has the right idea of starting from square one. Before one can engage in the current discussion, people should first get an idea about the people whose shoulders we are standing upon. For any skeptic caught up with or familiar with current arguments this episode is a must listen. The Earth is flat. Ok. 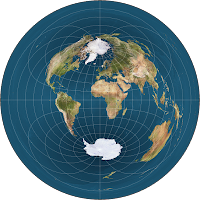 I think there is far more evidence in favor that the Earth is an oblong spheroid than it is flat. However, there still are folks who genuinely believe that the Earth is flat. Hayley Stevens and Michael "Marsh" Marshall of the Be Reasonable podcast interview Michael Wilmore of the Flat Earth Society, who professes (and seemed genuine about it) that the Earth is flat. The little over an hour interview was a fascinating listen as Stevens and Marsh respectfully challenge the ideas of Wilmore. The interview discussed the different versions of belief in the flat Earth, and the differing sects of flat Earthers' theories on what causes gravity. Different groups with the society have differing notions of what a true map of the world looks like. Wilmore gave a brief history of flat Earth beliefs in the modern world. Marsh brought up the issue on whether the circular Earth view is a conspiracy told to the masses, and Wilmore's handling of what is a tricky topic I found absorbing. This would mean scientists, governments, and heck astronauts might all have to be in on the subterfuge. Marsh and Stevens never really got into why the flat Earth should be hidden from the public, but other than that it was an excellent skeptical interview of an offbeat topic. This show is well worth the listen. Endorsed by The Skeptical Review. We read it, so should you.